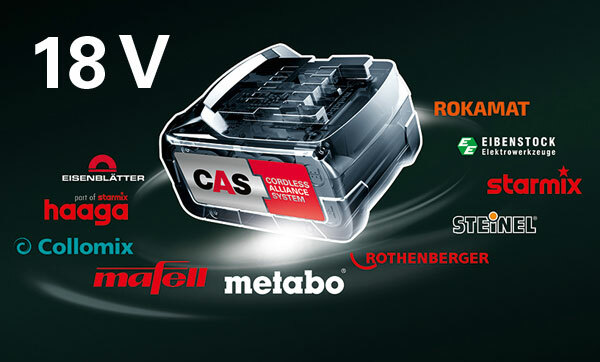 Ten power tool manufacturers present with CAS a joint battery pack system. Ten power tool and machine manufacturers, more than 120 devices, one battery pack: The managing directors of the companies Metabo, Rothenberger, Mafell, Eisenblätter, Collomix, Haaga, Starmix, Eibenstock, Steinel and Rokamat are part of the Cordless Alliance System (CAS), a cross-manufacturer battery pack system where all machines are one hundred percent compatible with one battery pack. This is unique so far in the sector. intensive applications. Therefore we can build today any hand-held power tool as cordless machine, in such a way that it meets the requirements of professional users when it comes to output and endurance”, says Horst Garbrecht, managing director of Metabo. The new compact class. 12 Volt cordless machines from Metabo make everyday work easier. Less weight. More power. … with plenty of power. LiHD. Cut the cord keep the power. Now also in 12 Volt. The powerful cells of the Metabo LiHD battery packs supply enough power to carry out even the most demanding applications with cordless tools. Thanks to the LiHD technology, Metabo is the only manufacturer worldwide to cover the entire performance spectrum from 400 to 3,200 Watt. 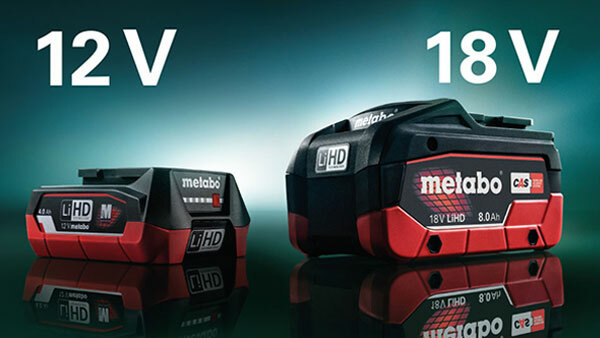 12 or 18 Volt: Maximum power that is available for an extremely long time – for any application. Metabowerke GmbH in Nürtingen is a traditional manufacturer of power-tools for professional users from the core target groups of metal trade and industry as well as building trade and renovation. 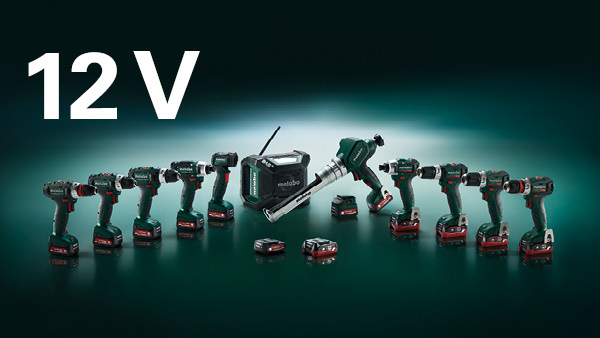 Metabo stands for very powerful cordless tools and is the leading supplier in the battery pack sector with its LiHD technology. In this way, Metabo has turned its vision of the cordless construction site into reality. Under the brand name Metabo, the full-range supplier provides machines and accessories for all standard applications, but also competence products and system solutions for special requirements. Founded in 1924 in the Swabian town of Nürtingen, Metabo today is a medium-sized company which also produces also in Shanghai, China, in addition to its headquarters in Nürtingen. 25 subsidiary sales companies and more than 100 importers ensure international presence. More than 2,000 people work for Metabo worldwide, and in 2017 they have generated a turnover of 467 million euros. 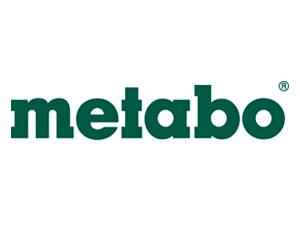 More about the company Metabo and its products can be found at www.metabo.com.